Saturday afternoon, Sharon and I made a quick trip out to the Hunter Stallion Station. Hunter was throwing a party birthday for Yuli. 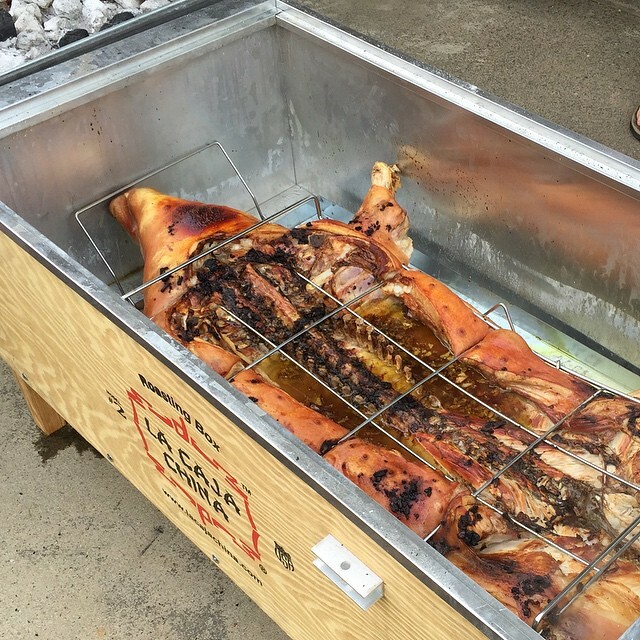 We got a chance to catch up with Hunter, Robbie and Lauren and take a quick peek at the pig they were cooking. Unfortunately, we couldn't stay long; we headed back to Carmichael to get ready for the Jesuit Red and Gold Gala dinner and auction.